Are you a coffee lover? Can your "engine" only crank up when the rich aroma of a freshly brewed cuppa tickles your nose? 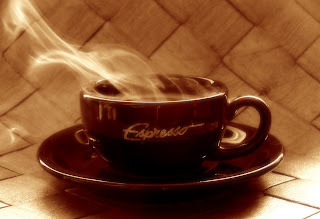 If you're drinking coffee every day, don't you agree it's very important to choose coffee that's healthy for you? 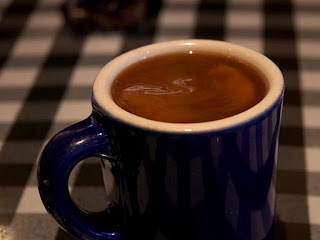 I highly recommend CEO Cafe coffee, for the special creamer used and the 2 big benefits of caffeine. Instead of the usual dairy creamer, CEO Cafe uses a natural, low-fat creamer derived from coconut oil. Some people are immediately wary at the mention of "coconut oil", as they think it contains cholesterol and may lead to cardiovascular diseases. But this is a Myth. In actual fact, coconut oil is plant-based, has low-calorie and is cholesterol-free - making it one of the best choices of food-grade saturated lipids. The main component of coconut oil is made up of 65% plant-base saturated medium-chain fatty acids (MCFAs), rather than the usual plant-base saturated long-chain fatty acids. 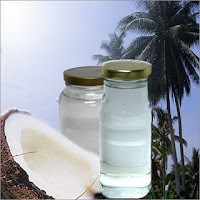 As a cooking oil, coconut oil will remain stable even under high temperature. It does not produce harmful trans fat, nor become readily oxidized to form free radicals. When MCFAs enter our body, they will be readily absorbed without going through such processes as enzymatic hydrolysis and bile salts emulsification. This means it does not have to stay in our stomach for long hours, waiting for its turn to be digested and absorbed. Moreover, the MCFAs will be directly delivered to the small intestines where they will be broken down and converted into energy. Hence, they will not build up in the body system or blood vessels nor turn into fatty cells to cause obesity. In other words, they will not bring about the formation of thrombus, which is the prime culprit behind cardiovascular diseases. Research studies conducted in Europe, USA and Japan point to the discovery that for people who drink coffee on a daily basis, their levels of blood sugar in an empty stomach and after food are both markedly lower compared with people who do not drink coffee. This leads to the conclusion that drinking a moderate amount of coffee can effectively help prevent diabetes. Research findings have also shown that the ability of coffee in preventing diabetes is attributed to the fact that coffee contains rich amounts of a powerful antioxidant called chlorogenic acid. a) Coffee beans contain 2 special types of oil, namely cafestol and kahweol, which exhibit an amazing effect in protecting the liver. b) As coffee beans are rich in chlorogenic acid and various powerful antioxidants, they are very good in preventing oxidative stress and subduing the formation of carcinogens. c) consuming 2 cups of coffee a day can help cut down the risk of contracting liver cancer by up to 43%. CEO Cafe is recommended because it uses natural low-fat creamer. Further, premium grade coffee beans have been found to prevent diabetes and reduce the risk of liver cancer. 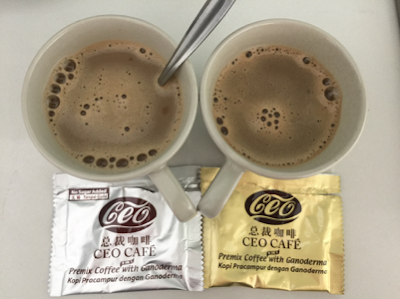 If you like to drink coffee and you are health conscious, please email me at askfuiping@gmail.com to get a box of CEO Cafe. Click here to refer to Shuang Hor company website for Product Description and Price.